"We are a boutique agency that provides a professional babysitter service all across the Gold Coast." Our services include School Pickups & Drop offs, Theme park visits, Overnights, Weddings, Conferences and we are always happy to provide a custom service to meet your requirements. We have regular local clients and repeat holidaymakers from Australia and around the world. Our sitters, most of whom have been with us for a number of years have been personally interviewed and all known to us. They are all female sitters, blue card registered, first aid certified and very experienced with children of all ages including special needs children. All of our baby sitters are insured for Public and Products Liability. We Offer Competitive flat rates. 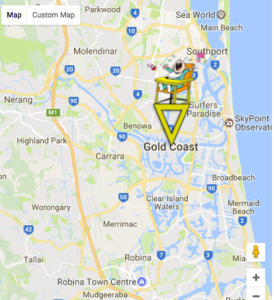 "Services for All Ages - Individuals, Groups, Special Needs or Customised to your requirements"
We provide a service for children of all ages and cover the entire Gold Coast. We will send a sitter best suited to your needs, to where you are holidaying or living and mind your children there. The sitter can take the children out during the day to keep them occupied, for example to the local park, swimming pool, beach, movies, putt putt, or other activities. We can also help when visiting a Theme Park or other excursion for the day. We will send a sitter best suited to your needs, to where you are holidaying or living and mind the children there. We have sitters available who are experienced with all levels of special needs children. We specialise in caring for large groups of children, in a Kids Club environment. We can also supply all activities & games to keep the children occupied at no extra cost. If the services we offer are not specific to your needs, please send us an enquiry or call us we will do our best to accommodate your request. "Competitive Flat Rates, 4 hour minimum, Credit or Debit Cards Accepted "
All babysitting assignments have a four hour minimum. A non-refundable booking fee is payable at the time of booking by credit card or debit card with NO credit card fees applied. balance to your credit card (NB this will incur a 2% surcharge). We do not charge extra after midnight, and have the same rate for day and evening, weekday or weekend. We have the same rate, regardless of where you are staying - we do not increase our rates for certain hotels. you the 4 hour minimum. New Year’s Eve and public holiday rates are available upon request. Below is a summary of our most current rates. 6 or more children rates depend on numbers and ages. Please contact us for a quote. "Committed, Patient , Kind, Interactive, Experienced, Certified in First Aid with a valid Blue Card"
Our Sitters Are The Best In The Business. Our sitters take seriously their role as a carer for your children. Sitters must have a Qld Government issued “Working with Children Check Card”, plus a current First Aid Certificate. 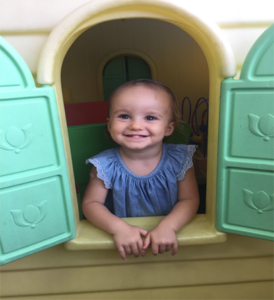 They acknowledge and adhere to Gold Coast Baby Sitter’s Risk Management Strategy – an initiative of Qld Government’s Commission for Children and Young People and Child Guardian. Many sitters have formal childcare qualifications, whilst others are mothers or grandmothers themselves with plenty of firsthand experience. Our sitters will also bring along activities and games to keep your children entertained and happy! Birthdays, Christmas, Anniversaries, Birth of a new baby or simply just for some Time Out! 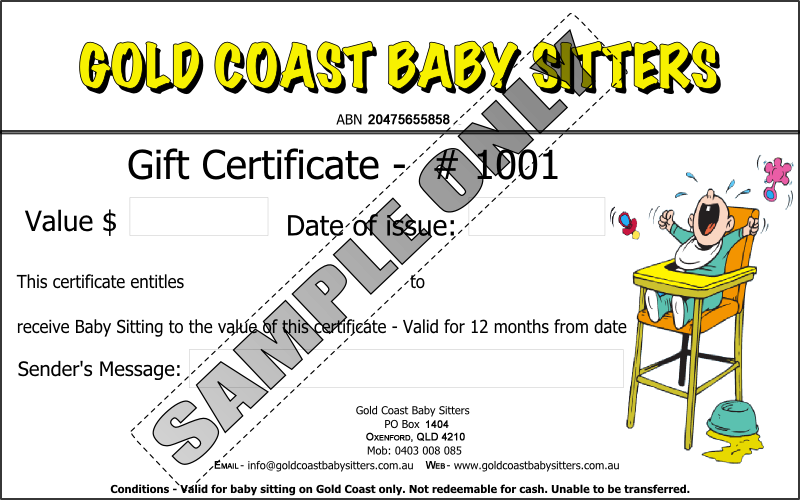 Gold Coast Baby Sitters vouchers are a great idea to say “thank you” to a special friend, or employee too. A perfect surprise for anyone with children living or staying on the Gold Coast. Some of the many requests for our vouchers are for school or childcare fund raisers, raffles and/or prizes. Easy payment by credit card or debit card. Minimum four hours, cannot be split. A beautifully printed gift certificate will be emailed to your recipient! Why not order one today ? - A $25 booking fee applies for each certificate. - Items marked with a * are required to submit the form. "See what parents are saying about our sitters"
A majority of our business comes from people who have used our services before. Hi! Just wanted to say I’m extremely happy with the service. Even tho we left it to late notice still managed to find us somebody. We had two lovely lady baby sitters (Audrey and Chantal) for separate nights and they were great for our 7 month old daughter. From the moment they walked in we felt so comfortable. Definitely would recommend Gold Coast baby sitters, and definitely will use again if we visit Gold Coast Again. Hi Sue , Just wanted to send you a note to let you know how wonderful Audrey was, she was absolutely fantastic and the kids just loved spending time with her.She made our trip so much easier. 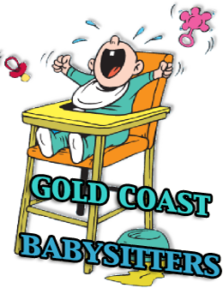 The team at Gold Coast Babysitters are amazing, as locals we have used their services for over 5 years without an issue. They are quality professionals and we felt extremely confident in allowing them to care for our children. Each sitter is well presented and make the kids and parents feel comfortable upon arrival. Thanks for the great service over the years. Gold Coast Babysitters will continue to be our first call. I just wanted to say a big thank you Noela for looking after the kids. They had a great time making Spike the Spider, Greedy the Octopus and Oscar the Caterpillar. We're due back on the GC next year, so we'll be sure to book you in. Thank you again for babysitting our daughter, we had a great time alone and she enjoyed your company. Until next time…. We were very happy with Audrey, the kids took to her very well. Thank You. Thanks Sue, Noella was amazing!! We would like to make it a regular booking so I will contact you when we are back from our holiday. Just wanted to let you know that Vanessa was fantastic. Hello, just wanted to say a huge thank you. Rhiannon’s service was amazing and both my partner and I were very happy. First time leaving our kids and we would recommend her to anyone. Hey Sue, Tiarni is a gem. My kids have not stopped talking about her. I think they want to trade us in for her! We will be using her very chance we get down here. Dear Sue, thanks very much for organising Debbie for us. She was wonderful. We would like to arrange a tip for her. The boys adored her and she tidied up beautifully and we were so grateful. Many thanks again. We have gone through your agency a few times now and the sitters have always been terrific.